Whether you’re adding on to your home or upgrading a commercial property, you’ll find all of the Lake Geneva building supplies you need for the job at Lakeland Building Supply. We feature an extensive range of high-quality products from leading manufacturers, and our competitive pricing ensures you get every Lake Geneva building supply you need at a price you can afford! No matter what project you’re taking on, Lakeland Building Supply offers innovative and affordable products that get the job done right. One of the best ways to add beauty and value to your property is to replace the windows, and nobody offers a more comprehensive selection of new windows than Lakeland Building Supply. In addition to adding style, our windows increase the security and energy efficiency of your building. We stock industry-leading brands such as MI, Lincoln, Sierra Pacific, FiberFrame, and more! Visit our showroom and see how you can complete your window look with our impressive window shutters. Make the transition from indoors to outdoors seamless with our assortment of exterior doors. Our doors provide the highest levels of security while also enhancing the style of your home or commercial property. If you aren’t sure what type patio or entry door is best suited to your needs, just get in touch with us or visit our showroom today! 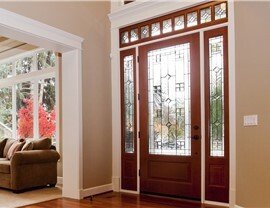 We’d love to help you select doors you’ll love for a lifetime. 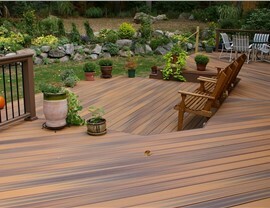 Decks need to be constructed using high-performance materials designed to stand up to years of exposure to the elements. We offer deck boards and railings in a variety of materials, all of which are crafted to be incredibly durable and low-maintenance. Visit our showroom to see our various decking from industry leaders such as Azek, TimberTech, Lumberock, and more! 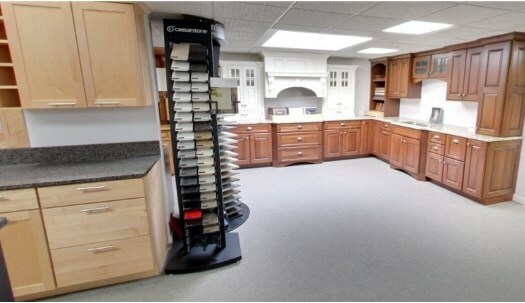 Ready to get started on your remodeling project? Get in touch with the premier Lake Geneva building supply company today for more information regarding our high-quality and affordable products. Visit our showroom to speak directly with one of our friendly and knowledgeable sales associates, or request your free, no-obligation estimate by completing our online form at the top of this page.